This chapter is the very first I uploaded to goofans. The ones with hyperlinks are here, whilst some don't. 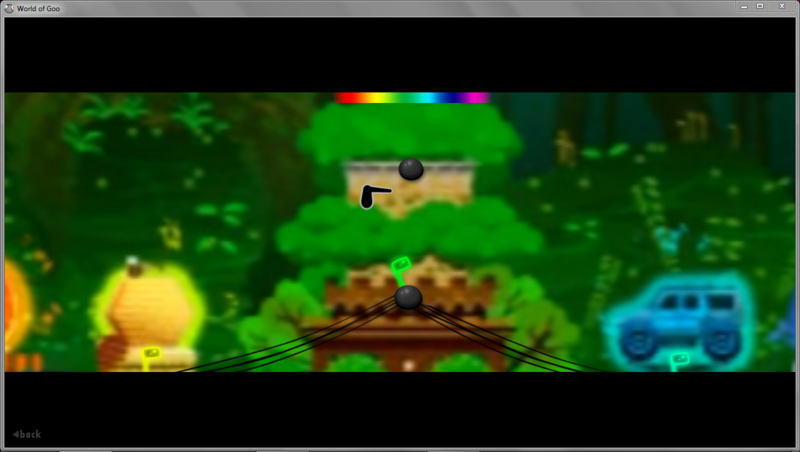 Also, please uninstall EVERY SINGLE version of the levels in GooTool. 1.1 - Fixed the wrong naming of Chapter 2 and 5 and now has a custom icon. 1.3 - Added minor changes to the Lush Tower 2 cutscene and added a skipeolsequence there. 1.4 - Replaced the copyrighted music with this. It's royalty free music. 1.5 - WHY DID I NOT PACK SONGBIRD TOWER?! (Fixed here to avoid the crash) Happy now, Liyuan? To avoid the crash, Songbird Tower MUST be installed. Check here. Special Thanks to gooey goo for helping me out! I liked this nice collection of stuff...but for some reason, chapter two is named lush forest, while the chapter is chapter five. Also, what's the image used in the chapter screen? As in the chapter map or MapWorldView? Wrong, when I opened the Songbird Tower, the game crashed.